The new 2020 GMC Canyon will be redesigned. First spy photos are indicating this is happening. Also, its closest sibling, Chevy Colorado is going through the same update period. This time, two trucks will be slightly different than before. While Colorado is getting a performance-oriented ZR2 model, Canyon Denali is a luxury truck with a lot of premium equipment. Well, this pickup is also offering a lighter off-road AT4 version. The release date is not set yet. GM is not going to rush with a premiere. The competition in the compact truck class is growing. The new members of the segment are Ford Ranger and Jeep Gladiator. Well, the other one will use the same diesel engine as its full-size stablemate, Ram 1500. The 2020 GMC Canyon sticks to a 2.8-liter Duramax unit that makes it the most capable truck in the market. With it, the pickup can tow up to 7,700 pounds. Designers will have a lot of work on the new 2020 GMC Canyon. Still, the updates on the truck are not going to be so radical, since the new generation release date is set for 2022. Still, there is enough time for the final redesign. We believe that General Motors will test some of the upcoming features on the 2020 Canyon. However, they can’t leave fans disappointed if the pickup loses the pace with the competition. Updates on the 2020 GMC Canyon will include the new front fascia. Everything is fresh there – bumper, grille, and headlights. According to spy photos, the truck will get larger air vents. On the rear end, new exhaust tips and bumper are waiting. General Motors will install the all-new MultiPro tailgate. This six-way gate is available on bigger trucks, and now the 2020 Canyon could add more functions. The 2020 Canyon will continue to use standard trim levels – SL, SLE, and SLT. But, the most exciting is the AT4 (All Terrain) and Denali models. As its name says, the first one is equipped with special features that will make a ride over tough surfaces easier. It is the best solution for truckers that do their job mostly off the road. Besides off-road upgrades (hill start assist, all-terrain tires, suspension, shocks), the 2020 GMC Canyon AT4 will also be available with leather interior. 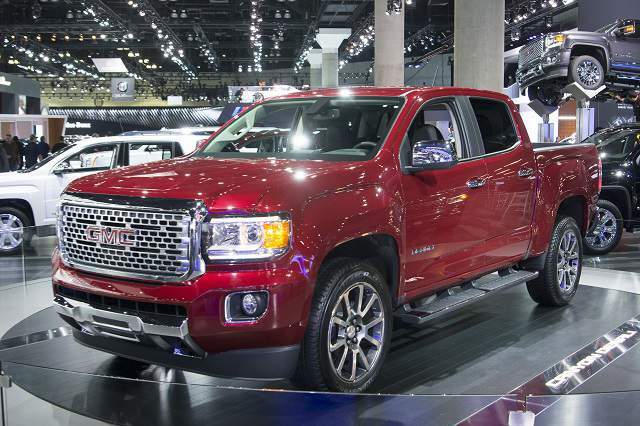 The optional choice for the AT4 is standard for 2020 GMC Canyon Denali. Well, that is not the only reason why this model is so expensive. Inside the truck, you will also find a premium Bose audio system and navigation. An eight-inch touchscreen display is the center of infotainment world. Outside, Denali truck is using unique colors, chrome steps, and large 20-inch wheels. Under the hood of the 2020 GMC Canyon won’t be changed. The main powertrain remains a four-cylinder unit that is capable to produce 200 hp and 190 lb-ft of torque. A 2.5-liter unit is a selection for truckers that don’t plan to tow much. But, serious buyers will opt for a V petrol unit. A 3.6-liter engine offers 308 hp, 275 lb-ft, and towing capacity is 7,000 pounds. 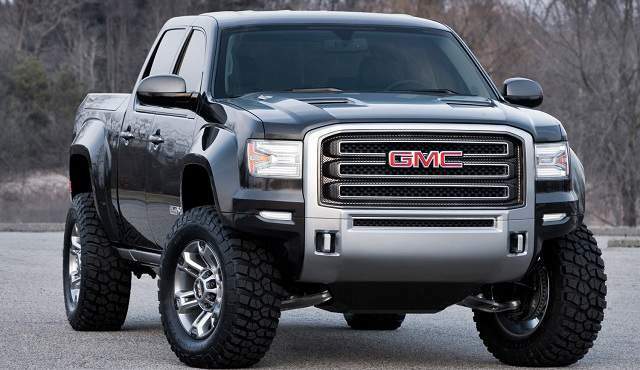 At the top of the range is a Duramax diesel drivetrain. A class-leading towing capacity of 7,700 pounds comes from a 2.8-l displacement that bursts 180 hp and 370 pound-feet of twist. 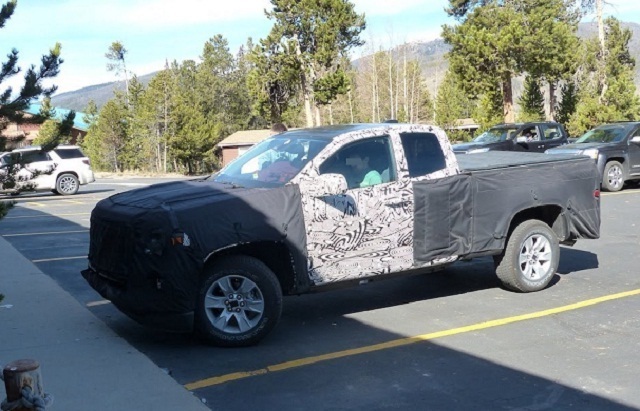 Spy photos of the 2020 GMC Canyon are unveiling that the new truck is coming. But, these shots are not telling us when. The release date of the pickup is expected late this year. The company has enough time to test all the novelties. Well, with many updates on the 2020 Canyon, we can expect slightly higher prices.